The National Nanotechnology Initiative (NNI) expedites the discovery, development and deployment of nanoscale science and technology to serve the public good through a program of coordinated research and development aligned with the missions of the participating agencies. As part of the White House Office of Science and Technology Policy, Dr. Whitman oversees national nanotechnology policy, helps the Administration maintain strong support for the National Nanotechnology Initiative within the Federal agencies and among key external stakeholders, and serves as a liaison to international nanotechnology programs and initiatives. He also serves as co-chair of the Nanoscale Science, Engineering, and Technology Subcommittee of the National Science and Technology Council’s Committee on Technology, and provides guidance to the National Nanotechnology Coordination Office on its policies and operations. As Assistant Director for Nanotechnology in the Technology and Innovation Division, Whitman supports the National Nanotechnology Initiative (NNI) and the Materials Genome Initiative (MGI), helping the Administration maintain strong support for these initiatives within the Federal agencies and among key external stakeholders, and serve as a liaison to international nanotechnology and advanced materials programs and initiatives. 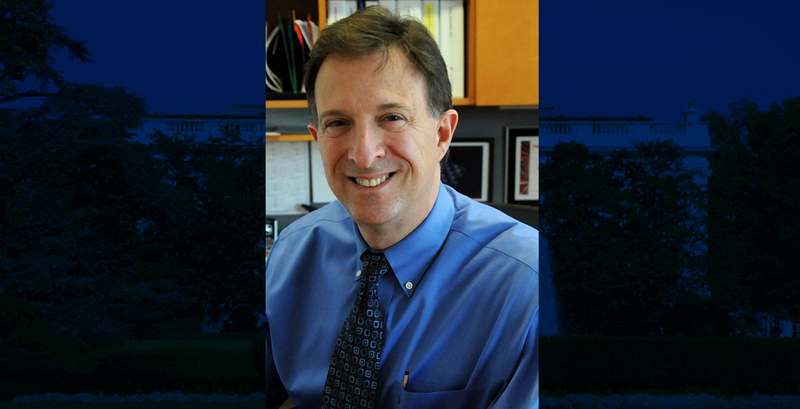 He also serves as the OSTP co-chair of the Nanoscale Science, Engineering, and Technology Subcommittee of the National Science and Technology Council’s Committee on Technology. Lloyd Whitman has a PhD in Physics from Cornell University, M.S. Physics Cornell University and Sc.B. Physics Brown University. He won the Naval Research Laboratory (NRL) Edison Award for U.S. Patent 7,541,062, “Thermal Control of Deposition in Dip Pen Nanolithography.” The invention is for an apparatus for nanolithography and a process for thermally controlling the deposition of a solid “ink” from the tip of an atomic force microscope to a substrate. The invention may be used to turn deposition of the ink on or off by either raising or lowering its temperature above or below its melting temperature. 4. To support the responsible development of nanotechnology. The aim of the NNI is to move nanotechnology discoveries from the laboratory into new products for commercial and public benefit, encourage more students and teachers to become involved in nanotechnology education, create a skilled workforce and the supporting infrastructure and tools to advance nanotechnology and to support the responsible development of nanotechnology. 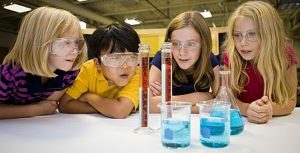 Students learn about nanoscience and nanotechnology at the NanoDays event hosted by the University of Nebraska-Lincoln. How important is nanoscale research in the grand scheme of things in the science and technology innovation from the federal perspective? The NanoTechnology initiative was first started 15 years ago during President Clinton’s administration and now allocates 1 ½ billion per year to further the advancements, with continuing efforts towards commercialization of nanotechnology into various industries including manufacturing, precision medicine, space, defense, electronics and energy. President Obama is a strong supporter of funding science. The President’s 2016 Budget provides $146 billion for R&D overall, an $8 billion or 6 percent increase from 2015 enacted levels. The Budget targets resources to areas most likely to directly contribute to the creation of transformational knowledge and technologies that can benefit society and create the businesses and jobs of the future. America’s economic competitiveness and growth—including in domestic manufacturing—depend on robust investments in: research and development (R&D); innovation; and science, technology, engineering, and mathematics (STEM) education. NanoTechnology covers so many disciplines and institutions, the government is actively engaging across all sectors to create a vast eco system of research and commercialization that explores by innovations in part by capturing the imagination of the public. For example, the Grant Challenges define ambitious grant challenges to bring communities together to create interdisciplinary nanotechnology solutions. The Grand Challenges should stimulate additional public and private investment, and foster the commercialization of Federally-funded nanotechnology research. Here are some examples developed by the NNI agencies, working with the National Nanotechnology Coordination Office and OSTP. 1. Increase the five-year survival rates by 50% for the most difficult to treat cancers. 2. Create devices no bigger than a grain of rice that can sense, compute, and communicate without wires or maintenance for 10 years, enabling an “internet of things” revolution. 3. Create computer chips that are 100 times faster yet consume less power. 4. Manufacture atomically-precise materials with fifty times the strength of aluminum at half the weight and the same cost. 5. Reduce the cost of turning sea water into drinkable water by a factor of four. 6. Determine the environmental, health, and safety characteristics of a nanomaterial in a month. Is there global collaboration in NanoTechnology research? Nanotechology is a very multi disciplinary field where every leading group in nanotechnology has multiple international collaborations. The US and EU are very keen on environmental policy at the research level – setting ANSI standards and definitions that raise the bar for environmental and safety initiatives as nanotechnology research becomes more commercialized. Which areas of scientific research that encompasses nanotechnology are the hottest or top priorities for the US? The nanotechnology initiative is not a top down program; there are 11 agencies with mission critical research in many areas of science including Future of Electronics, Photonics, Energy, Nano Manufacturing, Bio Technology & Medicine, and Environmental Health and Safety. The extensive public and private partnerships are designed to amplify the federal government budgets for Nanotechnology with the priority of engaging industry to move research towards commercialization. Do you feel AFM plays a vital role in nanotechnology research and why? AFM has evolved into perhaps the most versatile of nanoscale microscopy methods given the wide range of samples and environments with which it can operate, and the ability to measure chemical and nanomechanical interactions. Measuring thru SCIM and AFM have been the biggest enablers for the measurement pillar because it captures molecular changes at a sub atomic level. Microscopy has played an absolutely critical role in the evolution of NanoScale Research. Future advancements will provide more real-time imaging data on nanoscale behaviors that will lead us towards further commercialization of nanotechnology innovations. Does Nanotechnology research give any promise for clean energy in the future? The DOE is the 3rd largest investment in the budget for Nanotechology initiatives focused on every area of energy research from nano structures to photo optics to thermal electronics to conversions nano catalyst for solar fuel. Contributing to Energy Solutions for the Future spans efforts in fundamental and applied research to improve photovoltaic and thermophotovoltaic devices and advance the development of solar fuels applying nanotechnology for solar energy collection and conversion. Industry engagement is critical to ultimately realizing the potential of solar energy. Solar energy is a promising alternative energy source that can mitigate global climate change, reduce dependence on foreign oil, improve the economy, and protect the environment. Example: In less than two hours, the amount of sunlight falling on Earth can meet our total global energy needs for an entire year. 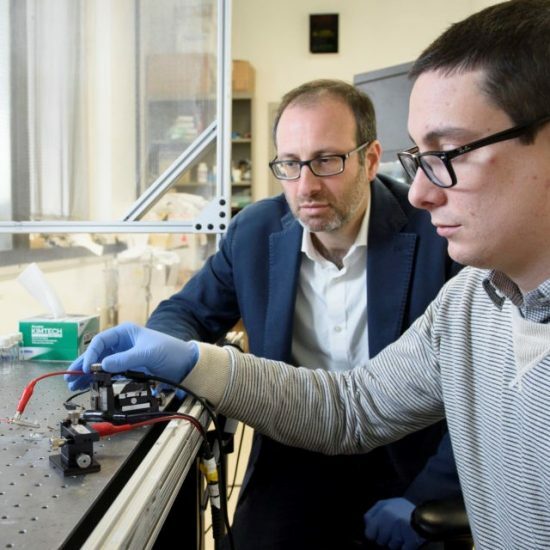 Advanced Materials for Energy (AME) researchers are developing novel materials for solar energy conversion and electrical energy storage devices. Concurrently, researchers at Eindhoven University are using gallium phosphide to produce solar cells that make clean fuel hydrogen gas from liquid water. 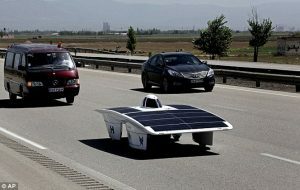 Most attempts to build solar powered cars, like the one at right, rely upon direct sunlight in order to provide the power needed to keep going, but new technology that has allowed scientists to use solar energy to split water into hydrogen and oxygen could provide compact solar fuel cells for powering vehicles even after dark. At the White House Office of Science and Technology Policy (OSTP), how does nanotechnology support Outer Space Exploration? NASA continues to support both foundational and applied research in nanotechnology through its field centers and in university and industry laboratories. One particular example is the NASA Space Technology Research Fellowship Program. Since its inception in 2011, it has funded 41 graduate fellowships, 11 of which were awarded in 2014, to perform nanotechnology-related research in 4. Progress Towards Achieving NNI Goals, Objectives, and Priorities The National Nanotechnology Initiative—Supplement to the President’s 2016 Budget 39 collaboration with NASA scientists and engineers. Current NASA research efforts have been supported through the Space Technology Mission Directorate and the Aeronautics Research Mission Directorate. Center Innovation Funds and Seedling Funds from these directorates have funded topics such as the development of nanoscale coatings to improve the aerodynamic efficiency of aircraft, nanotechnologybased sensors for high temperatures and harsh environments, carbon nanotube and boron nitride nanotube-based materials and devices, and nanoscale vacuum electronics. 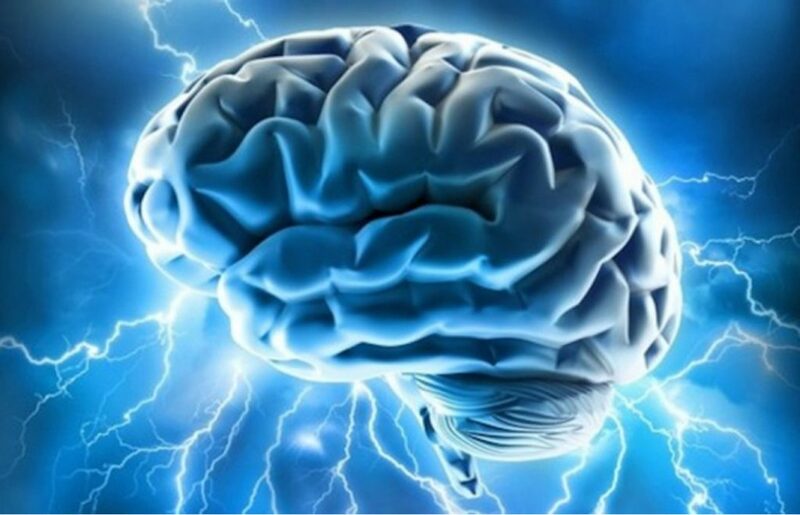 Four years of collaboration between two organizations with seemingly unrelated missions has yielded a new medical device that could change the way doctors use deep brain stimulation. Currently, the treatment is mainly effective for Parkinson’s but carbon nanofiber pads could open opportunities for treating many other brain disorders with this method.